Inmarsat's GX Aviation inflight broadband solution will be available to passengers onboard Virgin Atlantic’s brand new Airbus A350-1000 aircraft. Virgin Atlantic is scheduled to receive 12 Airbus A350-1000s over the next three years, with GX Aviation pre-installed upon delivery. The service will be available once the first of these aircraft takes to the skies from late summer 2019, allowing passengers to seamlessly browse the internet, check social media, instant message and more, with speeds on par with mobile broadband on the ground. GX Aviation was revealed as part of Virgin Atlantic’s new onboard offering on the A350-1000 last week, with other key features of the aircraft including an entirely new Upper Class cabin with brand new suite and social space. More than 1,600 aircraft are currently expected under signed contracts for Inmarsat’s next-generation inflight broadband solutions for airlines, with a new business pipeline of approximately 3,000 aircraft worldwide. To meet growing demand, Inmarsat has a fully-funded development roadmap, including three further Ka-band payloads. A fifth GX satellite will be launched later this year and two sixth-generation satellites are scheduled to launch in 2020 and 2021. In addition, planning is underway for the next generation of GX satellites. Philip Balaam, President of Inmarsat Aviation, said that Virgin Atlantic is firmly established as one of the aviation industry’s greatest innovators and were the first airline in Europe to offer WiFi on all flights. Their brand new Airbus A350s will enhance the passenger experience even further and we are delighted that GX Aviation has been selected as the inflight broadband solution for the aircraft. This is another great win for Inmarsat's next-generation solutions. Gail Yates, Head of Inflight Services, Virgin Atlantic, added the company is excited to unveil details of the unparalleled onboard experience that awaits customers on the firm's new Airbus A350-1000s. Offering modern, world-class inflight connectivity is a fundamental part of this experience. 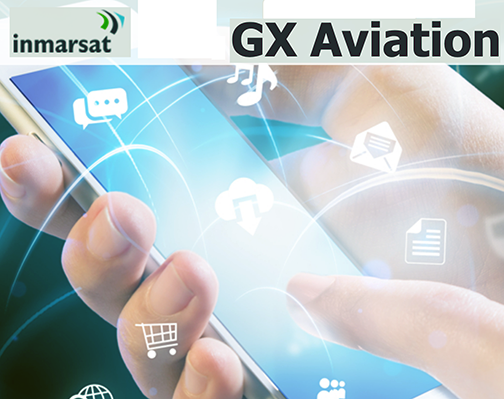 Virgin Atlantic is confident that Inmarsat’s GX Aviation will truly raise the bar and offer second-to-none broadband for the company's customers.